Ještě do 6. ledna příštího roku mohou milovníci impresionistické malby navštívit ve Vídni výstavu významného představitele tohoto stylu nazvanou Claude Monet – A Floating World (Claude Monet – Plovoucí svět), která probíhá v Albertině již od 21. září 2018 a přináší na 100 pláten zapůjčených ze 40 světových muzeí jako například z pařížského Musée d’Orsay, z Museum of Fine Arts Boston, National Gallery London, National Museum of Western Art v Tokiu, či z moskevského Puškinova muzea. Výstava je tedy velmi reprezentativní přehlídkou umělcova díla, která vznikla také ve spolupráci s Musée Marmottan Monet v Paříži, kde jsou v této soukromé instituci celoročně k vidění práce Clauda Moneta. 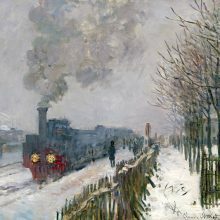 Retrospektiva umožňuje sledovat vnitřní vývoj tohoto umělce od realistické polohy raného období až k pozdnímu dílu, kdy se Claude Monet (1840–1926) obracel se ve své podstatě v obrazech leknínů z jeho zahrady v Giverny k abstrakní malbě. Eight emerging artists present their work as part of their 2019 MFA Thesis exhibition. This exhibition demonstrates a diversity of views on subjects that range from identity to geometric abstraction to activism. What unites the work, is each artist’s challenge to expectation and perspective. Featuring J’han Brady, Amanda Muhlena Hays, Sarah Jarrett, Arnaud Leclere, Sonimar Maldonado, Bryan McGinnis, Guy Miller, and Veronica Salas. With The Black Image Corporation, Theaster Gates has conceived a participatory exhibition which explores the fundamental legacy of Johnson Publishing Company archives. Featuring more than four million images, they have contributed to shape the aesthetic and cultural languages of African American identity. Central to the exhibition are the works of two photographers, Moneta Sleet Jr. and Isaac Sutton, who both worked for Johnson Publishing. Over a career spanning more than six decades, Arp produced a remarkably influential body of work in a rich variety of materials and formats. (…) The exhibition brings to Palazzo Venier dei Leoni more than 70 works—sculptures in plaster, wood, bronze and marble, painted reliefs in wood, collages, drawings, tapestries and books—from European and American institutions and private collections. “Everyone’s individual world is made up of troubled facts. My work sits between the idea of reality and its representations.“ (Martine Syms) Martine Syms uses video, performance, text, and installation to address representations of blackness. Her research-based practice frequently references and incorporates theoretical models regarding performed or imposed identities, the power of the gesture, and embedded assumptions concerning gender and race. Peter Doig paints representational pictures as though they were abstractions. His spellbinding compositions combine planar forms and a palette that is as bold as it is nuanced with vivid painterly gestures. Many of his works show landscapes—the reflective surface of a pond, shadowy figures trudging through snow, the dense foliage of a tropical forest. Suffused with a sense of dreamy unreality, the scenes often evoke a mood of elegiac melancholy. With a keen eye for the faintly unsettling quality that looms just beneath the surface of his landscapes, Doig insistently probes man’s encounters with nature and the loneliness of the individual. His most recent work shows a growing interest in the human figure. Výstava mladého výtvarníka Jozefa Piláta je průřezem jeho tvorby. Prezentuje malby, kresby, prostorové objekty, instalace a videoinstalace vznikající v průběhu jeho studií na Akademii výtvarných umění ve Varšavě. To mark the centenary of the founding of the Bauhaus, this exhibition opens up a dialogue between contemporary art and the photographic avant-garde of the 1930s. It juxtaposes works by artists such as László Moholy-Nagy, Lucia Moholy, Man Ray, Jan Tschichold, Hedda Walther, Florence Henri, Hans Robertson and Erich Consemüller with groups of works by Thomas Ruff, Dominique Teufen, Daniel T. Braun, Wolfgang Tillmans, Doug Fogelson, Max de Esteban, Viviane Sassen, Stephanie Seufert, Kris Scholz, Taiyo Onorato & Nico Krebs, Antje Hanebeck and Douglas Gordon. The Weltmuseum Wien is showing the largest-ever exhibition showcasing modern and contemporary art from Nepal. The works on display range from outstanding representatives of the 1950s through to today’s nascent scene of vibrant new artists. As well contributing to an effective resituating of the West’s status within an international context, these works also offer insights into how the local, the national and the global interplay. An unconventional, multimedia, and narrative exhibition dedicated to the life and work of Andrzej Wajda, illustrating the genius of this great producer, master of dramaturgy, and creator of unforgettable images. Fabien Castanier Gallery is proud to present a solo exhibition for Prague-based urban contemporary artist Jan Kaláb, Shape & Tone, which will be held in our Wynwood gallery location from April 6 – 27. Peripheral Visions focuses on the community as well as individuality formed in the first year of the Studio Art MFA Program, showing a group of very different artists working and learning how to grow together. The word peripheral becomes the crux in understanding the show as a collective vision, while also highlighting the distance and boundaries that exist between each individual’s studio practice. Featuring the work of Lizzi Alarcon, Basmah Alhumaid, Chelsey Anderson, Amber Cruz, Jennifer Frank, Nieko McDaniel, Matthew Russo, and Cindy Warshaw. A selection of Broel’s life-sized to monumentally-sized totemic bronze sculptures creates space for reflection and contemplation about what it means to be human, be engaged as an individual within community and interact intentionally with the natural world. In his series of vertically oriented structures, Broel references tangible and intangible notions that resonate universally: botanical and architectural structures, environmental rhythms, physical and emotional solitude. Intentional abstraction creates a generous context for engaging with the sculptures. Allusions to historical references create a sense of timelessness and familiarity, yet the pieces exist outside the rapidly shifting visual language of stylized contemporary aesthetics. This unique sculptural installation exposes viewers to aspects of the American rural West’s untamed spirit, vast rugged landscapes, and traditions of mysticism. Broel’s intentional decision to live and work in a small agrarian community in the Pacific Northwest provides viewers with a raw vision of inward examinations that relate more to the health of the psyche than to the pop-culture echo chamber. The work is a complex fusion of expressions: longing, melancholy, hope and contentment. Born in Louisville, Kentucky, Kenneth Victor Young (1933-2017) moved to Washington, DC in 1964 where he began to paint abstract forms with washed acrylics on unprimed canvas. Young’s artistic philosophy was to bring order out of chaos. His studies in physics and the natural sciences at Indiana University informed a different imagery—a fusion of brilliant colors. Young’s knowledge of form and matter gave his paintings a spatial intensity, and he infused this space with multiple orbs of color held together in molecular suspension. Kenneth Victor Young had an illustrious 35-year career as an exhibition designer for the Smithsonian Institution, and his extensive travels during this time helped inform his cosmic abstract style of painting. His love for jazz influenced the movement and vitality of his work. He is known for his floating colored orbs—imagery that attempts to bring order to chaos and that comments on the pandemonium of life.The selection is representative of the main aspects of his oeuvre as it evolved over several decades. It includes a wide variety of collages in diverse techniques: both early works and those of his mature period; on very small scale and large ones; two-dimensional and sculptural. Printmaking Legacy Project’s® first national print exhibition, Forward Press: 21st Century Printmaking features ten innovative print artists from across the country who employ the finest examples of hand printed and digital techniques. They explore themes of culture, identity, religion, environment, memory, and art history. Some work in traditional forms, like lithography, intaglio, relief, and screen printing, while others explore these methods as the basis for large-scale sculpture, collage, and integrating technology into printmaking. These ten artists are changing the way American printmaking is seen and understood. The exhibition is a journey through the history of artists’ engagement with the Moon, from the Romantic era to the present day. Divided into thematic sections, it focuses on topics such as lunar topography, moonlit night and the Moon’s shadow, ailments associated with the Moon, zero gravity and the Moon as mass media phenomenon. Standing in front of a painting that opens up like a window onto another world, who wouldn’t imagine what it would be like to really step inside the world of the picture? After an intensive development process, the Alte Nationalgalerie’s new app allows visitors to get up close and personal with one of the key works of the collection and its history in a totally new way. Portraits and self-portraits by the painter Lotte Laserstein put a face on modern society in the Weimar Republic. Alongside her exhibition here at the Berlinische Galerie, BG has chosen some other (self-)portraits by artists who were living and working in Berlin at the same time as Laserstein. Berlin’s Lotte Laserstein (1898-1993) was one of the most sensitive portrait painters of the early Modernist period when tradition vied with innovation. By the time she was 30, she was a well-known and successful artist. Her career was brutally ended in 1933. Berlin’s public museum of modern art, photography and architecture will show 58 works – 48 paintings and 9 drawings – by Laserstein along with documents reflecting her professional heyday in Berlin and her exile in Sweden. Jedno bez druhého je autorská výstava dvou mladých slovenských výtvarnic Diany C. Garafové a Nikoly Šušovicové. Obě autorky se ve své tvorbě zabývají problematikou vnitřního prostoru výtvarného díla, jeho umístěním v prostoru fyzickém a optickými iluzemi. Galerie prezentuje výstavu významného českého intermediálního umělce Jiřího Černického (1966) a soustředí se na jeho tvorbu, která leží na rozhraní malby, obrazu a objektu. On the occasion of the 150th anniversary of the signing of the Treaty of Friendship, Commerce and Navigation concluded between the two monarchies Japan and Austria-Hungary in 1869, Weltmuseum Wien will feature a new exhibition from the collection of the daimyō family Hosokawa opening in April 2019. The members of this elite clan of samurai warriors had served the shogun since the Muromachi period (1333–1568). The generals of the Hosokawa family not only went into battle for their shoguns but also assisted in the field of administration as military governors. Starting the Edo period (1600–1868), the family was based in the Kumamoto domain. The exhibition features slides, colour photos, vintage prints, correspondence and proofs, documents recounting the complexity of the creative process. In particular, the exhibition investigates the relationship between the photography of Elisabetta Catalano and performance art, presenting portraits of a number of artists including Joseph Beuys, Fabio Mauri, Vettor Pisani and Cesare Tacchi during the preparatory phases of the performative process. The exhibition GENERATION WEALTH by award-winning filmmaker and photographer Lauren Greenfield shows today’s ubiquitous quest for status, beauty, and wealth. On the occasion of what would have been KP Brehmer’s 80th birthday, the Hamburger Kunsthalle is devoting a comprehensive exhibition to the German painter, graphic artist and filmmaker. KP Brehmer belongs to the generation of artists who used the American Pop Art idiom to develop a critical German brand of »capitalist realism« – the title René Block chose for the portfolio he published in 1968 of works by KP Brehmer and his contemporaries Sigmar Polke, Gerhard Richter, Wolf Vostell and Konrad Lueg. Jack’s Jacks, which was conceived in close cooperation with the artist, shows how Whitten, over a period of more than five decades, continually extended the boundaries of abstract painting. Beginning with early gestural paintings that were strongly influenced by Abstract Expressionism, the exhibition traces Whitten’s development as a painter through to his later experiments with structure and materiality that resulted in a unique tesserae style. The exhibition pays particular attention to paintings dedicated to historical events and prominent people. Tate Britain presents a major exhibition about Vincent van Gogh (1853–1890). The EY Exhibition: Van Gogh and Britain is the first exhibition to take a new look at the artist through his relationship with Britain. It explores how Van Gogh was inspired by British art, literature and culture throughout his career and how he in turn inspired British artists, from Walter Sickert to Francis Bacon. The anniversary program 25 Years Kunstmuseum Wolfsburg will present the most comprehensive overview of the collection to date. Founded in 1994, the collection now unites more than 600 installations, work groups, and individual works by 100 artists. Talk of living out in the countryside inevitably conjures up all sorts of images before our mind’s eye. Descriptions range from the romanticism of farming life to the dreariness of life in the provinces, shaped as much by personal experiences as by anecdotes and depictions consumed via the media – the image of village life and the reality of it at times worlds apart. In a photographic and artistic analysis of what life in the countryside is like today, the exhibition Über Leben am Land at the KUNST HAUS WIEN focuses on Europe and the US. Traditional Jewish cemeteries are like immense pages of old chronicles or the Scripture, handwritten on the soil with gravestones as letters and lanes as background, dotted with ritual buildings and framed by long walls. Modern Jewish graves depart from this world in order to bring Jewish cemeteries closer to the Christian world. Photographs by Rudolf Klein offer an insight into this world. Coinciding with the reopening of the Gropius Bau in March, the Walther König Bookshop curates an exhibition of artist books focusing on collecting and archiving. Gropius Bau explores the concept of crafts and handmade processes in Berlin’s contemporary art scene, taking its history as a former museum for decorative arts and educational institution as a starting point. El Lissitzky (1890, Pochinok, Smolensk – 1941, Moscow) is one of the key figures of the Russian – Soviet revolutionary avant-garde and international avant-gardes of the 20th century. He worked as an architect, graphic artist, painter, typographer, designer and photographer. RUDOLF SIKORA (*1946, Žilina) is one of the most important figures of Slovak visual art, his work of a conceptual pedigree found international recognition. He has been active in most areas of visual art, including painting, drawing, graphic art, photography, action art, objects and installations. The Rudolf/eR Sikora exhibition has been designed as an independent visual and ideological parallel to the visual (and ideological) world of El Lissitzky. Figures of women, men, animals and symbolic objects, frequently larger than life, resemble the motionless nobili­ty of mysterious gods by their slim almost Gothic silhouettes. To redefine border regions as an integrated whole is a critical challenge for architectural, political, and cultural institutions today. The exhibition brings together research and design results of an academic initiative, launched by Mexican architect Tatiana Bilbao in 2018. Interdisciplinary architectural and urban concepts of 13 participating architecture studios from universities across Mexico and the United States are presented on the basis of drawings, pictures and models. The approaches explore numerous topics such as migration, housing or natural resources—with a focus on one common region rather than two nations. Archi-Tectonics was founded by Dutch architect Winka Dubbeldam in 1994 with offices in New York City, the Netherlands and China. She and Justin Korhammer, Partner since 2016, collaborate with a diverse team of designers, engineers, consultants and contractors on multiple scale projects, spanning from city plannings and buildings to interiors and design objects. Their award-winning work is widely known and recognised for its use of hybrid sustainable materials and smart building systems as well as its elegance and innovative structures. Iiu Susiraja (b. 1975) has degrees in textile design and photography from the Finnish Academy of Fine Arts, where she studied 2012–2016. This is her first extensive museum exhibition in Finland. In addition to photographs and videos, it also includes an installation. The works in the exhibition are by artists such as Rembrandt, Anton Graff, Karl Stauffer-Bern, Adolf Wölfli, Meret Oppenheim, Maria Lassnig, Manon and Luc Tuymans – as well as outstanding self-portraits by relatively obscure or forgotten artists. This exhibition, organized jointly by the Slovak National Gallery and the Gallery of West Bohemia in Pilsen, is among the first efforts at concentrating on the work by art personalities who moved between the Danube Monarchy and that time’s visual art centres, responding to the attraction of the plein-air landscape. The exhibition Que Viva Picasso has been mounted as a celebration of March, the National Reading month. It presents seven graphic cycles by Pablo Picasso (1881 – 1973), one of the most famous representatives of the School of Paris, from a private collection of Thomas Emmerling. Featuring more than sixty etchings, lithographs and linoleum cuts, the exhibition presents a selection from the holdings of the Städel Museum’s Department of Prints and Drawings, enhanced by a small number of loans from the Museum Ludwig in Cologne and a private collection. The selection vividly illustrates the full range and development of Picasso’s graphic oeuvre from the early years in Paris to his late work. Taking designs for interiors produced during the Modernist period as a starting point, contemporary artists are presenting their own spatial concepts and exhibition designs in the Albertinum. Since the mid-1980s the artist Heimo Zobernig has been experimenting with the design of interiors and the presentation of art, as well as with geometric abstractions like those of Piet Mondrian. In a series of paintings created successively from the year 2000 onwards, he has used materials such as acrylic paint and tape to investigate the grid structure as an avantgarde form of expression since the Modernist era. The exhibition at the Deichtorhallen Hamburg and the accompanying program of musical events at the Elbphilharmonie, HYPER! SOUNDS, includes more than 60 international artists and musicians who explicitly work between ​​the disciplines of art and music and – often unnoticed by the broader public – decisively integrate references from both these areas into their art. Superstars from the worlds of art and music such as Andreas Gursky, Kim Gordon, Alexander Kluge, Rosemarie Trockel, and Wolfgang Tillmans will be featured alongside avant-gardists such as Arthur Jafa, Thomas Scheibitz, Peter Saville, and Arto Lindsay. The exhibition is narratively underpinned by dozens of interviews that Max Dax conducted with the participants in HYPER! in recent years. The glowing tension of invisible connections, the unveiling of unspeakable feelings and the unleashing of fantasy create the inimitable atmosphere of the exhibition of works by David Lynch. The filmmaker’s surreal images based on photo montages as well as reinterpreted portraits and reproductions open up dimensions of space and time, making up a universe well known from Lynch’s films. Small Stories takes visitors on a psychedelic journey through the world of emotions, humour, playfulness and restlessness, while unveiling past memories and scars. 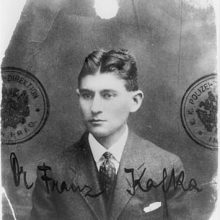 Similarly to his films, these images are dominated by dreams with the fundamental driving force of his poetic vision being the connection between the subconscious and reality. What are young artists who live and work in Vienna interested in? What subjects are in the air, what strategies do they use? The exhibition On the New. Young Scenes in Vienna is conceived as a stroll through local art communities: it brings together 18 individual artistic approaches as well as 12 independent exhibition spaces. In this show, specifically produced works are juxtaposed with specially arranged exhibitions within the exhibition; artistic and curatorial formats combine to create a dynamic entity that will change over the course of the show. Tate Modern unveils a major exhibition of the work of pioneering artist Dorothea Tanning (1910-2012). Organised in collaboration with the Museo Nacional Centro de Arte Reina Sofía in Madrid, it is the first large-scale exhibition of her work for 25 years and the first ever to span Tanning’s remarkable seven-decade career. Bringing together some 100 works from across the globe, over a third of which are shown in the UK for the first time, the exhibition explores how she expanded the language of surrealism. From her early enigmatic paintings, to her ballet designs, uncanny stuffed textile sculptures, installations and large- scale late works, it offers a rare opportunity to experience the artist’s unique internal world. Ornament as Promise was the premise of the Pattern and Decoration movement in the United States (1975–1985). In this exhibition, mumok presents the rich collection of works from this movement of Peter and Irene Ludwig, in the largest presentation of Pattern and Decoration in German-speaking Europe since the 1980s. With oriental-style mosaics, monumental textile collages, paintings, installations, and performances, in the 1970s committed feminist artists like Miriam Schapiro, Joyce Kozloff, Valerie Jaudon, and Robert Kushner aimed to bring color, formal diversity, and emotion back into art. Decoration played a key role, with its connotations of the techniques of artisanship. Various ornamental traditions, from the Islamic world to North American Indians to Art Deco, were incorporated in their works, opening up a view beyond geographical and historical boundaries. A proximity to folk art was sought as a deliberate counter to the “purism” of the art of the 1960s. American artist Anne Collier (*1970) questions the medium of photography by working with found materials from popular culture. Her conceptual works are based primarily on photos of the 1970s and 1980s, gleaned from magazines, advertising, record covers, book illustrations and film stills. By photographing these printed images and putting them into new contexts, she pursues a reflexive archaeology of the uses of photography. Collier is interested, above all, in images with an emotive visual undertone, such as waves, eyes, clouds and romanticised sexism. With analytical elegance, Collier reflects the deceptive imagery that shapes our everyday lives and, in doing so, reveals the tension between the photographic subject and the act of photographing. In a comprehensive survey of her oeuvre that represents the key phases of her artistic career, Swiss artist Miriam Cahn shows vibrant works on paper, oil paintings in bewitching colours, monumental sculptures, performative videos, and sketchbooks. (…) The title Miriam Cahn has chosen for the exhibition – I AS HUMAN – revolves around the artist’s deliberate and implicit commitment toward humanistic principles and the question of what comprises humanity at present. The artist’s images and exhibitions articulate, in an unequivocal and palpably visible and cogent way, her preoccupation with war, displacement and gender relations as well as her investigation of violence, love and the fragility of nature. Founded in 1797 under the Directory, the Louvre Chalcographie holds over 14,000 engraved copperplates, used to make prints, and has the mission of disseminating the image of the museum’s masterpieces through the art of engraving. The sounds design objects make are often just as characteristic as their design. And so from 21 February, 2019 visitors will able to listen to the sounds of various exhibition items from our collection thanks to the web-app Sound of Design. Using mobile devices or their home computers they will be able to delve into the world of design noises. Sounds range from historical telephones via the engine noises of iconic cars through to the clacking of a keyboard. We are adding sounds to our collection so as to integrate this acoustic dimension of our exhibition items into our presentation – above all with a view to the planned display area. By publishing this archive in our Web-app it will form part of the multimedia experience visitors can enjoy while also infusing life into objects that might otherwise seem remote museum pieces. By way of introducing Sound of Design we are launching a topical focus on the era of the German economic miracle (1950s/1960s), in which new electrical devices and with them diverse sounds entered people’s everyday lives. he first major exhibition on Tudor and Jacobean portrait miniatures in the UK for over 35 years, Elizabethan Treasures: Miniatures by Hilliard and Oliver will bring together key works from the National Portrait Gallery and major loans from public and private collections to showcase the careers of the most skilled artists of the period, Nicholas Hilliard (1547? – 1619) and Isaac Oliver (c.1565 – 1617). In the sixteenth and seventeenth centuries, miniature painting was regarded as an art form at which the English excelled above all others, and Hilliard and Oliver gained international fame and admiration. The exhibition will explore what these exquisite images reveal about identity, society and visual culture in Elizabethan and Jacobean England. Highlights include Hilliard and Oliver’s portraits of Elizabeth I, as well as images of James I, his wife Anne of Denmark and his three children Henry, Elizabeth and Charles (later Charles I), and miniatures of some of the most famous figures of the day, such as Sir Walter Ralegh and Sir Francis Drake. Trained as an electrical engineer and architect, Heinz Frank has been working hands-on as a sculptor, draftsman, painter, and creator of linguistic and object art, as well as occasionally, designer of interiors and furniture since the 1970s. Aphoristic notes such as “The hole is the epitome of emptiness” provide the initial sparks for a creative process resulting in pictures and constructions that not only blur boundaries between genres, techniques, and materials. More generally, the artist suspends norms and conventions—or to be more precise, he strips them of their power as agents of the disconnect between reason and emotion. That is why one of Frank’s guiding mottos is “Thinking what one feels and feeling what one thinks.” Enlivened by a dash of irony and with what appears to be playful ease, his formal-visual, intellectual, and material balancing acts, which often take inspiration from diverse cultural strands, recombine what society and tradition would keep strictly separate in manifold variations. Frank’s background in architecture is evident throughout: the measure of all things, of their proportions and relation to the space around them, remains the human being—and the artist himself. Franz West (1947–2012) brought a punk aesthetic into the pristine spaces of art galleries. His abstract sculptures, furniture, collages and large-scale works are direct, crude and unpretentious. Visitors to this major retrospective will be able to handle replicas of his Passstücke (Adaptives) – papier-mâché pieces made to be picked up and moved. They were a turning point in the relationship between art and its audience. He also created playful sculptures incorporating objects from everyday life such as a hat, a broom, or even a whisky bottle. In his final years he produced large, brightly coloured and absurd sculptures both for galleries and public spaces. Born and based in Vienna, West collaborated with numerous artists, musicians, writers and photographers. He has been a vast influence on younger artists – his friend and collaborator Sarah Lucas has contributed to design of the exhibition. Following the acquisition in 2018 of ‘Grodenstraße nach Varelerhafen’ (Polder Road to Varel Harbour), dating from 1938, the Sammlung Moderne Kunst is staging an exhibition on Franz Radziwill, one of the most important representatives of Magic Realism. The focus is on his Expressionist early work as a continuation of the ‘Brücke’, as well as on his involvement with the Nazi regime – between conformity and defamation as a ‘degenerate’ artist. One of Radziwill’s canvases, painted on both the front and back, is being exhibited for the first time showing both sides, to highlight the break between an Expressionist early work and a principal work of Magic Realism. Invited work. Marriages of Martín de Loyola to Beatriz Ñusta and Juan de Borja to Lorenza Ñusta de Loyola The scene depicted in this anonymous painting brings together two weddings that occurred at different times and places with the purpose of showing the blood ties between the Inca dynasty and descendants of two of the founders of the Society of Jesus, Saint Ignatius of Loyola and Saint Francis Borja. The conquest of America was thus represented as a harmonious union between the vanquishers and the vanquished. The ALBERTINA Museum is presenting a comprehensive selection of the most outstanding works from the Princely Collections under the title From Rubens to Makart. The museum is also devoting a simultaneous exhibition to the Viennese watercolor, an important and central category of works within the Princely Collections, in an exhibition entitled Rudolf von Alt and his Time. Well over 100 of the most important paintings and sculptures from the exquisite collection of this family, rich in tradition like few others in Europe, span an impressive range from the Early Renaissance in Italy to the Baroque period, from Viennese Biedermeier to the historicism of the Makart era. Iconic works such as Antico’s Bust of Marcus Aurelius, which was acquired for the Princely Collections just recently, the life-size bronze sculptures of Adrian de Vries, and Peter Paul Rubens’s famous Venus in Front of the Mirror are the focus of an exhibition that amounts to a veritable promenade through five centuries of art history. This ‘archival’ exhibition of The Brotherhood of New Blockheads (1996-2002) is special, being the first time the group has been presented officially on the international stage. In what way is the legacy of the New Blockheads of interest today? It is in part quite logical, for it was born in a time when a deficit in the present and a crisis of utopian ideals made looking to the past the only source of hope. Utterly in keeping with their own time, standing apart from any fixed styles or trends, The Brotherhood of New Blockheads was everything we could want of art: daring, despairing, naive, radical. Their legacy is relevant today for it provides a model for frank and uncompromising artistic behaviour, for maximum sincerity, something which is so keenly lacking in the world today. The exhibition by New York-based, German-Croatian artist Genoveva Filipovic is titled Shiva 2019 ✆. Her art seems enigmatic, but light; it is hermetic, yet open, serious, yet oblique. (…) What is shown in Shiva 2019 ✆ ? 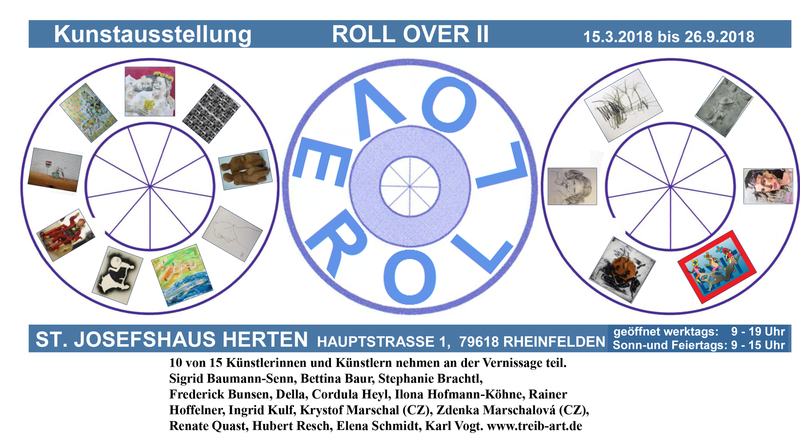 The exhibition consists of 17 works on canvas, made specifically for Kunsthalle Zürich, five identical posters, flat cardboard and a series of round prints on paper, which have been placed beneath the paintings as if they were train wheels. Plain and functional elegance, colourful Pop Art, a historical cathedral flavour – the metro stations built in Berlin between 1953 and 1994 with their distinctive post-war and post-modernist feel are still a defining feature in the daily lives of Berlin’s residents. Once threatened by radical revamps, 27 of these 82 undergound structures are now listed monuments, thanks to a dedicated younger generation of academics, photographers and film-makers. IN-SIGHT has set its focus on the 1809 figural group sculpture entitled Mars and Venus with Cupid, by Upper Austrian sculptor Leopold Kiesling. The exhibition reveals the work’s political topicality against the backdrop of the marriage of Napoleon I and the daughter of Emperor Francis II (I), Marie Louise. Toy Animals from the Soviet Union presents an exemplary selection of original toys produced between 1950 and 1980. Approximately 200 figures by eleven artists – all sourced from the Köpcke & Weinhold Collection, which comprises more than 400 objects in total. Komorná výstava kresieb a grafík predstaví dve rozdielne stvárnenia základnej kresťanskej modlitby Otčenáš, ktorá patrí k dôležitým dielam v kontexte tvorby sochára Františka Bílka a maliara Alfonsa Muchu. Discover the top ten product ideas created by students aged 13-16 for the Design Museum’s national schools’ competition, Design Ventura. The exhibition introduces selected aspects of Venetian cinquecento painting in eight sections: for example its atmospherically charged landscape depictions, its ideal likenesses of beautiful women (the so-called “belle donne”), or the importance of colour. The thematically oriented chapters will together form a systematic panorama of the extensive material. Apart from the Venetian holdings in the Städel collection – including, Titian’s “Portrait of a Young Man” (ca. 1510) – the show brings together superb loans from more than sixty museums in Germany and abroad. The New Museum presents the first museum survey in New York of the work of Nari Ward (b. 1963, St. Andrew, Jamaica). Multimedia artist Jeffrey Gibson (b. 1972, Colorado Springs, CO) is the Department of Education and Public Engagement’s spring 2019 artist-in-residence. This exhibition springs from The House of Dust, a seminal yet under-recognized late 1960s work by Fluxus artist Alison Knowles. Originally called The Play House, this intermedia piece serves as an entry point into contemporary investigation of the relationships between architecture, technology, and performance. In a text titled Shelter or Playground, R.M. Schindler described his house as a “playground” that “grows with its inhabitants” and where “life will regain its fluidity.” Today, the house open its doors to contemporary artists who have been invited to produce site-specific works, responding to both architectures by Schindler and Knowles and translating them into multiple performative forms. For Pablo Picasso (1881-1973) graphic art was a medium he could experiment with to his heart’s content. Picasso produced over 2,500 prints in a great variety of techniques. Museum Boijmans Van Beuningen has nearly four hundred of these prints in its collection, a selection of more than seventy of which will now be shown at the Kunsthal. Some of the highlights in the exhibition ‘Picasso on paper’ include the colour linocut prints depicting still lifes, bull fights, scenes from mythology and especially women. Picasso taught himself the technique of the colour linocut in 1958, when he was already well into his seventies. This exhibition also marks the start of ‘Boijmans Next Door’, a collaboration between a number of Rotterdam museums to keep part of the Boijmans collection visible in the city over the coming years. ‘The Anarchist Citizenship. Ode to Youthful Daredevils’ is a project by the researcher Amal Alhaag (1983) and the socially committed artist Nadine Stijns (1977) about the people of Somaliland. Since 1991, this territory in northwest Somalia has been operating as a self-declared independent state. In ‘The Anarchist Citizenship’, the duo researches how the Somalilanders are giving shape to their citizenship through fashion, architecture, friendship and culture. In collaboration with the depicted women, young people and other locals – often acting as art directors – Stijns and Alhaag manage to capture the unique visual culture of the Somalilanders in their photographs. Shown on silk fabric and plexiglass, the dozens of colourful photographs present an image that is much more nuanced and varied than dominant western views would suggest. © 2017Copyright by AtelierforArt. All rights reserved.